This album is so important to UK music, and getting the chance to relive it live was special. 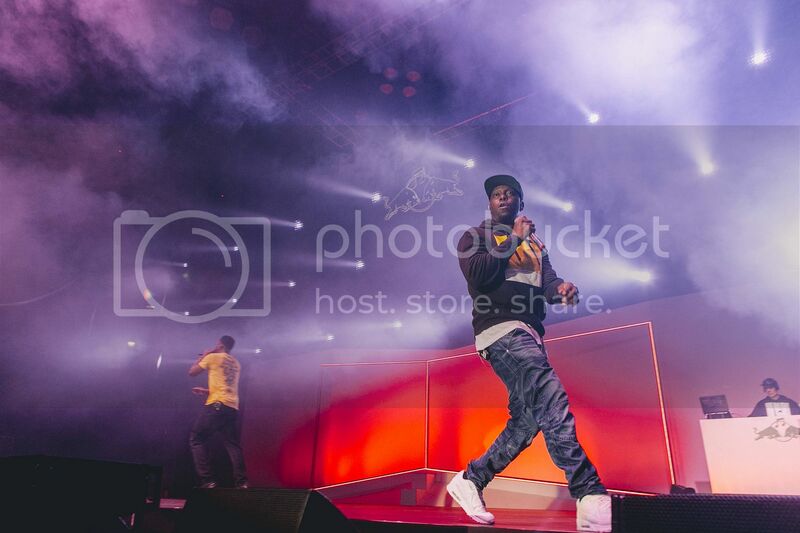 Dizzee Rascal performed at the Copper Box Arena in Queen Elizabeth Olympic Park on Saturday - which is, of course, in the East End of London and down the road from his hometown of Bow. 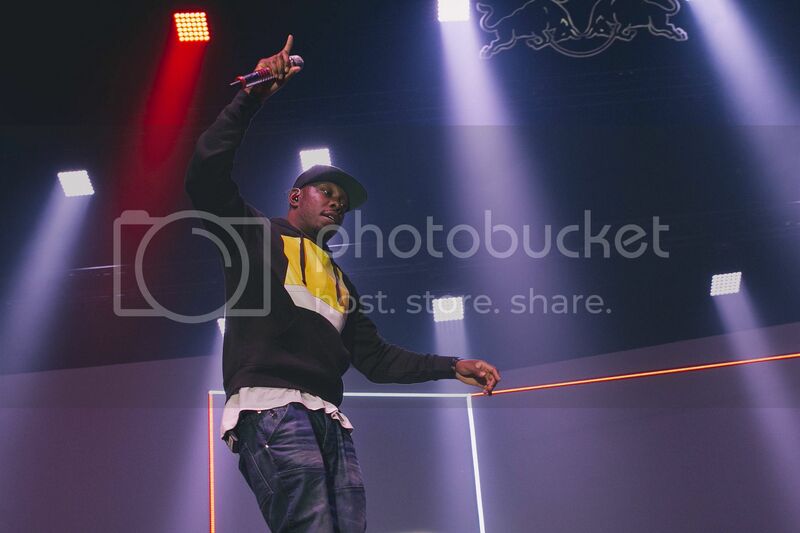 It was a special moment, as Dizzee returned to the stage to perform his debut, award-winning album Boy In Da Corner, 13 years after its release. There aren't many words that can describe the evening. I guess you had to be there. But if you were, you were one of the lucky ones. It was truly magical hearing this innovative album being performed live, and it took me back to my teenage days. If it wasn't for Hyperfrank and her petition to get Dizzee to perform it again in London, and Red Bull who hosted it, this would never have happened. He blazed through his hour set with help from DJ MK and Bigman Scope opening with a yellow background with the black lines, trying to replicate the album cover with Dizzee sitting on a chair. 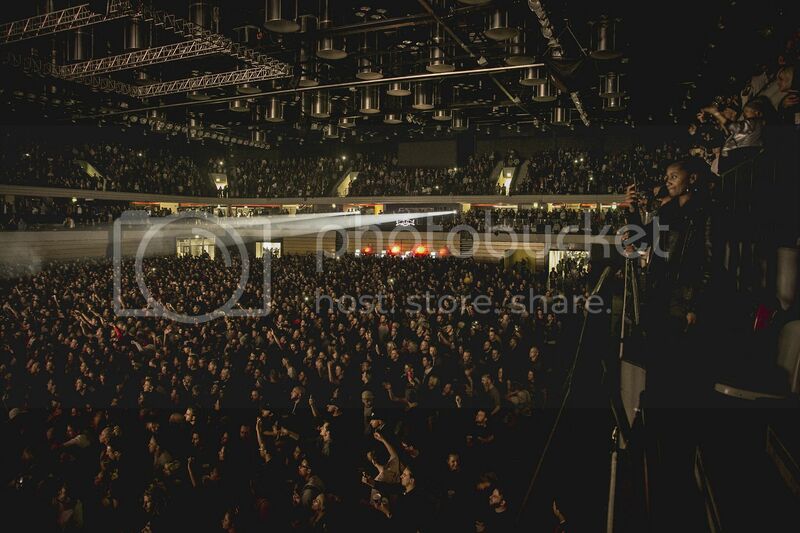 He opened with track 'Sitting Here' with the crowd quiet, trying to take in his reflective bars. Then the madness began as soon as 'Stop Dat' started with drinks flying around the standing section of the arena and mosh pits being formed, with Dizzee spraying his bars like the teenager he was when it first came out. He bounced around the stage with energy hyping up the audience as he went from side to side. He then went into another crowd favourite 'I Luv You' and then into 'Brand New Day'. DJ MK scratched the intro to 'Fix Up Look Sharp' whilst Dizzee jumped up and down along with the crowd who sang along to the words with him, with everyone’s hands in the air. Another highlight of the night was when 'Just A Rascal' dropped and got a reload from MK as the whole crowd went wild, with Dizzee jumping up and down on the stage saying "Big up my moshpit crew," performing the track with clarity in his skippy flow.